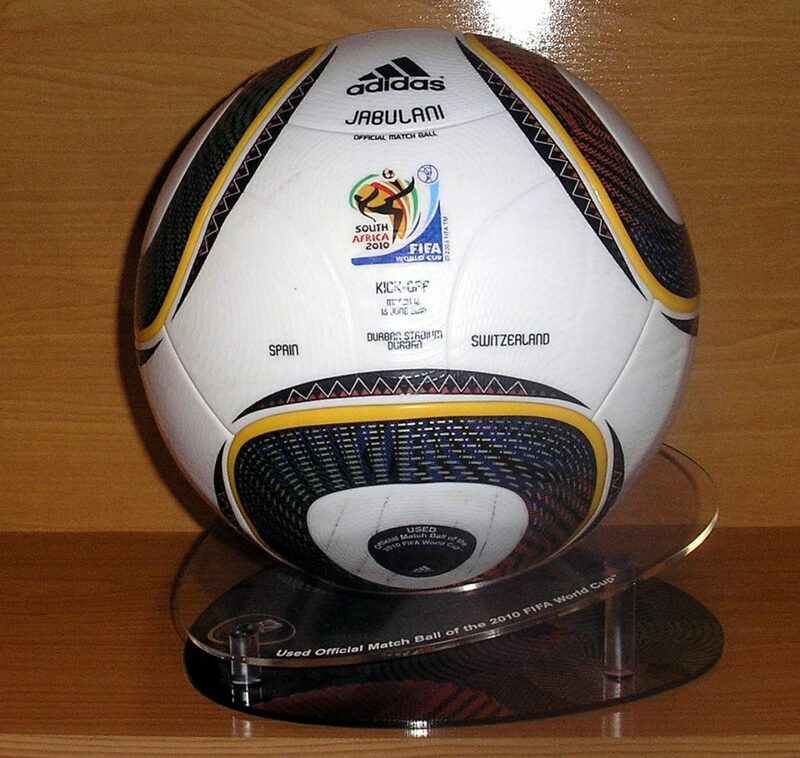 On December 4th 2009, Adidas presented the official 2010 World Cup ball: the Jabulani. 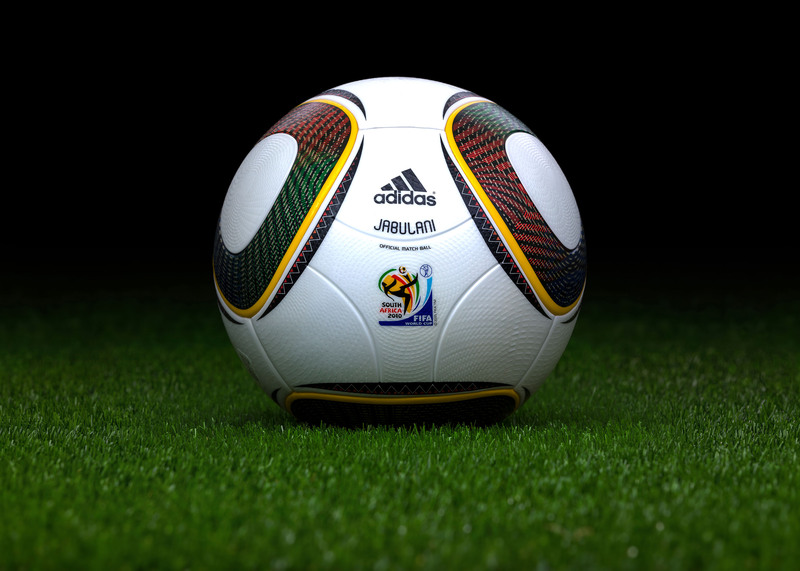 This word means celebration or party in the Zulu dialect. 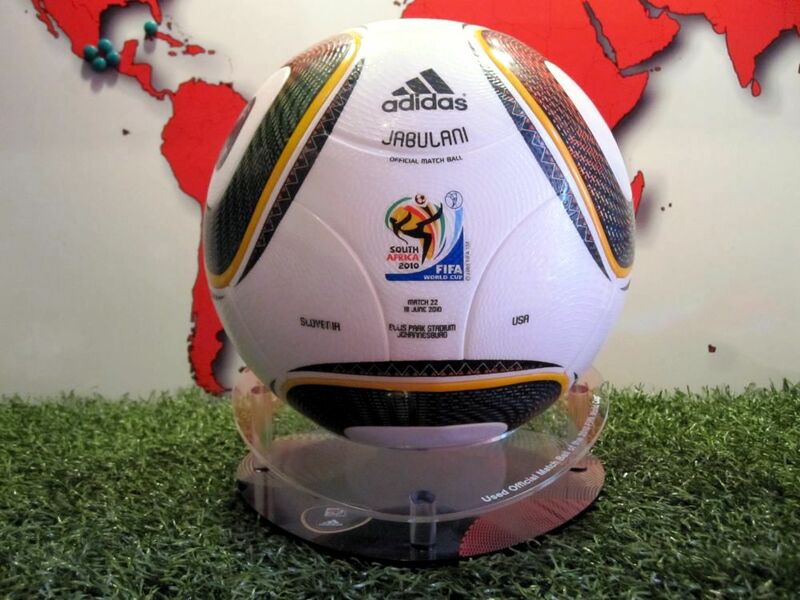 The Jabulani was presented as a technological jewel, created by the AIT (Adidas Innovative Team). It consisted of 8 innovative welded panels, 4 minor triangles and 4 bigger ones, which gave the ball a perfect spherical shape never before achieved. 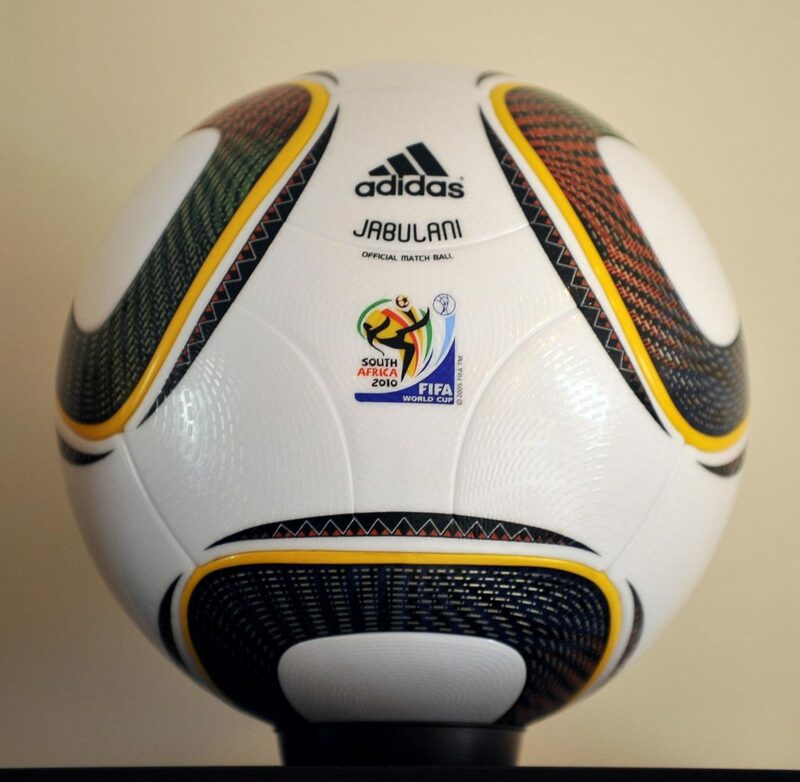 The panel surface was a 3D non slip compound called Grip and Groove or commonly known as goose skin. 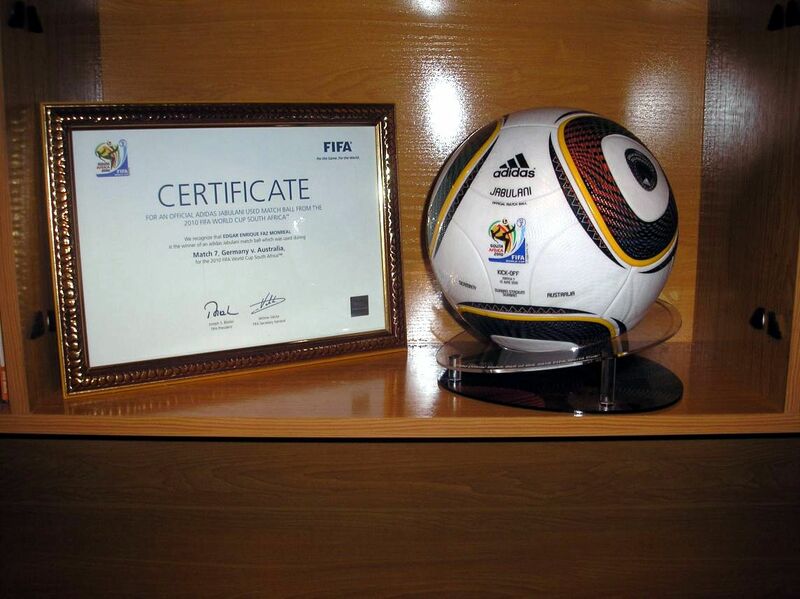 It had already been successfully tested in the 2008 European Championship. 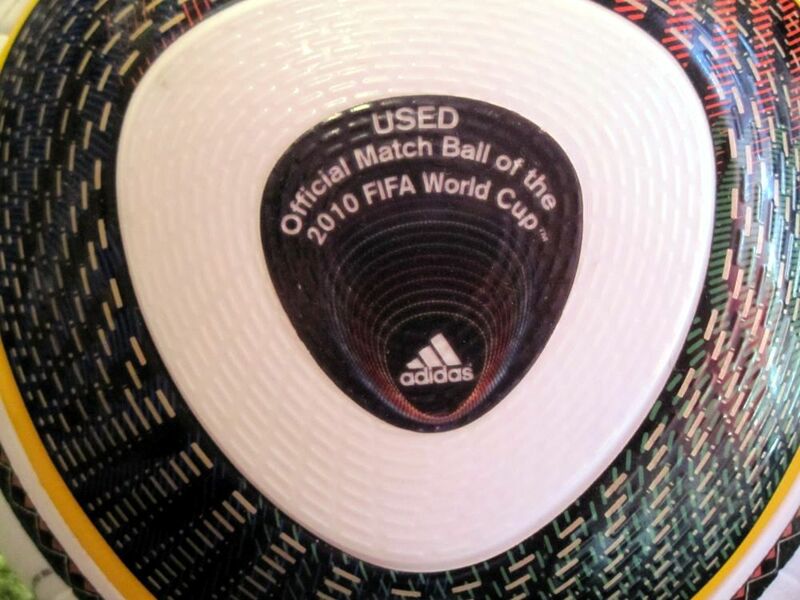 This type of surface allowed an optimal grip on all conditions. 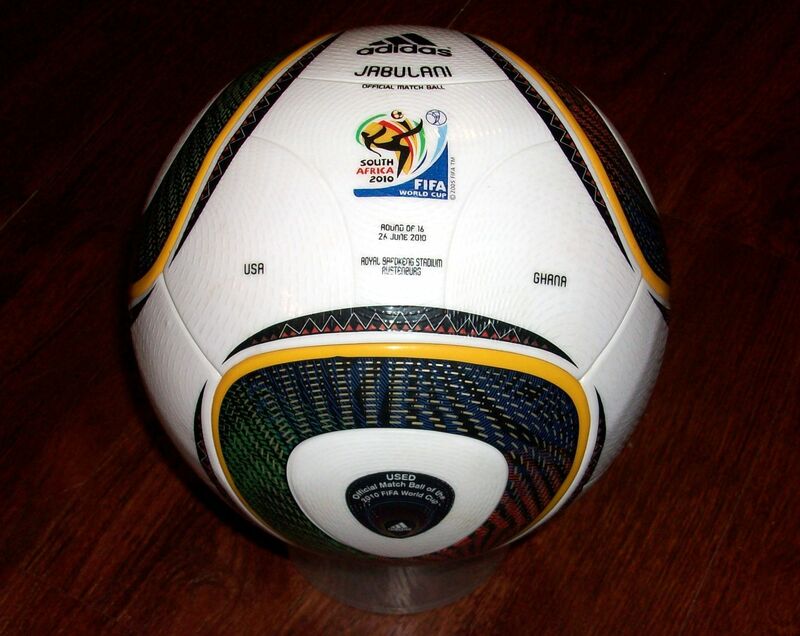 The panels were crossed by particular channels, which ensured the designers an improvement in the aerodynamics of the ball. 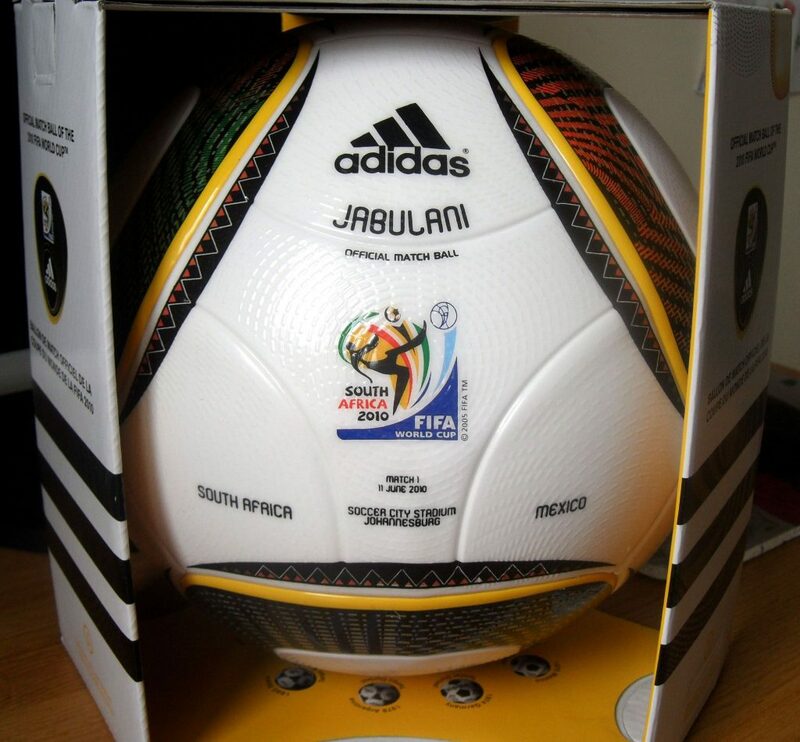 Eleven different colors were adopted to compose the decorations on the Jabulani. 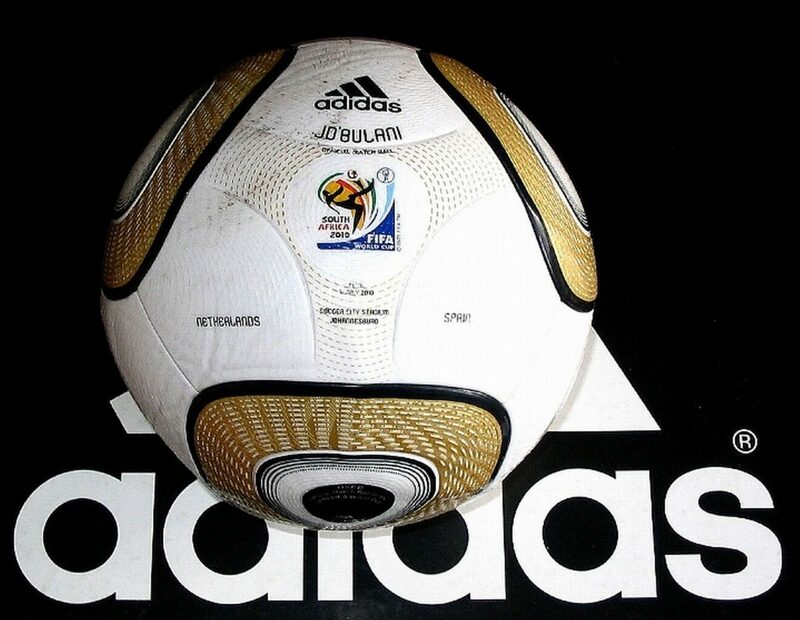 Numerology indicates that this was the eleventh Adidas World Cup ball, 11 is the number of players on a football team, 11 are the official languages of South Africa and with 11 different communities, make up a country among the most cosmopolitan of the African continent and the world. 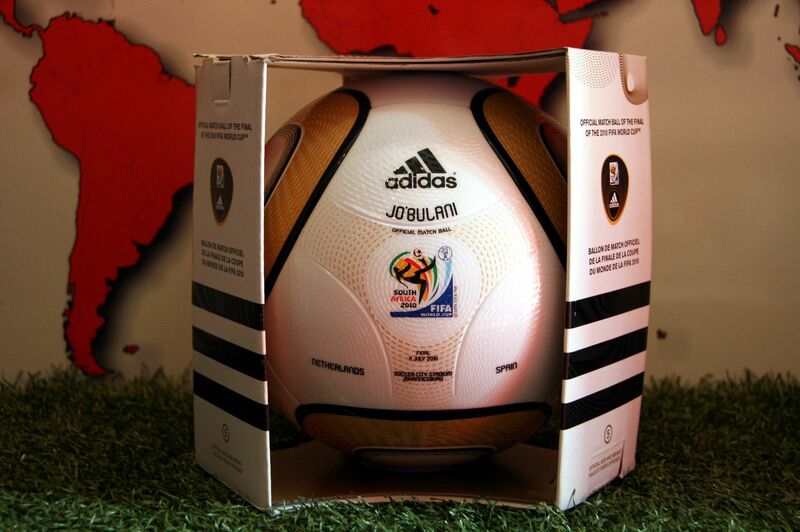 Finally, the 4 smaller triangles of the design recalls the external facade of the Soccer City Stadium in Johannesburg.